We offer the latest in cosmetic dentistry. Having a great smile is a wonderful way to boost your confidence. Our cosmetic dentistry treatments make your smile healthy and happy. We firmly believe a beautiful smile contributes to your overall well-being. At Cope Dentistry, our dentists take pride in treating patients in a friendly atmosphere. Whether it’s Invisalign braces, porcelain veneers or another cosmetic dentistry treatment, we work hard to make sure you walk out smiling. We welcome the chance to take care of all of your cosmetic dentistry needs. Contact us today to schedule a consultation at our office at 90th Street and Roe in Prairie Village, Kansas. Looking to make your smile brighter and whiter? There are several ways to whiten your teeth. 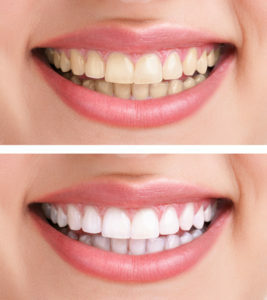 One of the fastest and most effective ways to whiten teeth is teeth bleaching. Bleaching removes the organic particles from the tooth’s top enamel later, to lighten the color. 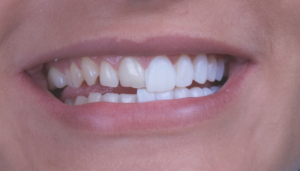 At Cope Dentistry, we make custom bleach trays to fit over your teeth. Then, we will help you select the best concentration and type of bleach to place in the trays and comfortably whiten your teeth. For sensitive teeth, we recommend our sensitive teeth-whitening formula. We also offer bleach strips that stick to your teeth. The bleach concentration in white strips sold in dental offices is usually stronger than what is available in the toothpaste aisle, so it takes less time to see results. Please know that many over-the-counter whitening products available at the grocery or drug store – like whitening toothpaste, mouthwash, or strips – can also be effective at teeth-whitening; however, it may take longer and more applications to see your desired results. If you have misshapen, discolored or chipped teeth, porcelain veneers may be a good option to brighten, build-up or change the shape of your teeth. A porcelain veneer is a thin, extra layer bonded over the front surface of the tooth. Veneers are durable, highly-esthetic, and resistant to stain. The veneer is custom-designed in color and form by Drs. Cope and the lab to fit your preferences. 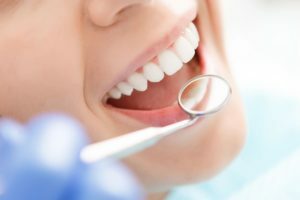 Dr. John, Dr. Susan or Dr. Lindy Cope can examine your smile and let you know if composite bonding would be best for brightening and building-up your teeth. If you have discolored teeth, chipped teeth or want to slightly change the shape or size of your teeth, composite bonding may be a good option for you. With composite bonding, tooth-colored resin material is sculpted onto your tooth. Drs. Cope love the composite-sculpting process and the artistry involved in choosing the composite color and blending it into your tooth. 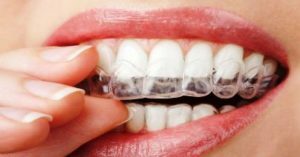 Invisalign is the clear alternative to metal braces that offers advantages over traditional metal wire and band braces. Dr. Lindy Cope has completed extensive Invisalign training and is an approved provider of this revolutionary teeth straightening system. To learn if you are a candidate for Invisalign, contact our office to schedule a consultation. During this visit, you will learn your estimated treatment length and you will be able to see a computerized simulation showing how your teeth will move over time. Of course, if you prefer traditional braces, our dentists are happy to refer you to an orthodontist in Prairie Village or the Kansas City area. When you begin treatment, you receive several sets of custom-fit trays. You will change out trays every two weeks. Each subsequent tray will align your teeth more and more. In just a few months, you can have a straighter smile! Dr. Lindy will monitor your tooth movement along the way to ensure that you obtain the smile you desire. Learn more about our Invisalign procedure.